It’s been a busy start to 2015 for me, and so I haven’t had much free time for new posts to the blog. However, there have been numerous developments relating to the regulations and policies affecting renewable fuels. The following are brief summaries of some of these developments. Schedule announced for issuance of annual volume mandates.The U.S. EPA has still not issued a final rule to set the volume mandates under the RFS for 2014. Instead, the agency has been working on a single proposal to cover volume mandates for 2015, 2015 and 2016. More recent developments have affected these plans. On March 18, the American Fuel & Petrochemical Manufacturers and American Petroleum Institute filed suit against EPA in the U.S. District Court of the District of Columbia, asking the Court to require EPA to promptly issue the delayed volume mandates for 2014 and 2015. Late last week, it was reported that EPA will enter into a consent agreement with AFPM and API to settle this suit, under which EPA will commit to a schedule for issuing the delayed mandates. According to EPA’s website, this schedule is as follows. Finalize the 2014 volume mandate by November 30. In addition, although not covered by the consent order, EPA said that it would issue a new proposal for the 2014 mandates by June 1, reflecting the volumes of renewable fuel that were actually used in 2014, to be the basis for the final rule due by November. Issue proposed 2015 and 2016 volume mandates by June 1 and finalize them by November 30 (the 2016 commitment is outside the scope of the consent decree). Also outside the consent decree, EPA said it will finalize the biomass-based diesel volume requirements for 2017, as required under the law, on the same June-to-November schedule. Cellulosic waiver credits. In the meantime, the agency has announced other activities, including issuance of a direct final rule clarifying how EPA calculates cellulosic waiver credit prices under the RFS. Cellulosic waiver credits are available for obligated parties to show compliance with the cellulosic biofuel standard in any year in which EPA reduces the cellulosic volume mandate, as it has done for the past several years. New RFS pathway petitions. EPA has also begun granting petitions for new fuel pathways under the RFS, under the procedures it announced in September 2014 (as described in my October 2, 2014 entry and follow-up posts in Advanced Biotechnology for Biofuels). Most of the approved petitions are for corn starch-to-ethanol pathways under the newly-instituted Efficient Producer program, but recent approvals have also included a new pathway for production of ethanol from algae, submitted by Algenol Biofuels. Proposed revisions to the RED. There’s been quite a bit of back-and-forth about the proposed amendment to the EU Renewable Energy Directive (RED) and its companion legislation the Fuel Quality Directive, but it appears that a political compromise has been reached. As last reported in Biofuel Policy Watch, European legislators and bureaucrats have been trying to reach agreement on amendments to these directives that would cap the contribution that food-based biofuels could make to the EU-wide goal of deriving at least 10% of energy in the transport sector from renewable fuels by 2020, while also finding a way to encourage the development and use of advanced biofuels not relaying on agricultural feedstocks. On April 1, 2015, representatives of the European Commission, the Parliament and the individual member states, meeting in so-called “trilogue” sessions, have agreed to cap food-based fuels at 7%, up from the original level of 5% first proposed in 2012. However, there appears to be no binding target for the percentage of the fuel supply to be attained by advanced biofuels. A final compromise appears to have been reached by members of Parliament on April 14. According to reports, the amendment to the RED will cap food-based biofuels at 7%, will set an optional target of 0.5% for advanced biofuels, and would require reporting of indirect land use change (ILUC) but not require that ILUCs be taken into account when calculating carbon intensities under the directive. The proposal still needs the approval of the full Parliament, which is reportedly scheduled for April 29. Oregon Clean Fuels Program will be fully implemented. The early months of 2015 saw a great deal of activity regarding the Oregon Clean Fuels Program, a state law similar to the low-carbon fuel standard that has been in place in California for some time. It was last reported in the blog that the state’s Environmental Quality Commission had issued regulations to implement the Program, but that the legislature was about to again begin work on passing legislation to remove the “sunset date” under which the law would have expired at the end of 2015. A bill to remove the sunset date was approved by the Oregon Senate in February and debate in the House took place through early March, amidst a political scandal that drove newly-reelected Governor John Kitzhaber from office. Final House approval of the bill came on March 4. Kitzhaber’s successor, Governor Kate Brown, signed the bill on March 12, ensuring the continued implementation of the law going forward. I hope to analyze the regulations in a future blog post, but it is good to see that this law will remain on the books and will begin to be implemented. If progress can also be made in Washington State, we may yet see a situation where the entire U.S. and Canadian west coast would maintain incentives for adoption of renewable transportation fuels. As 2014 draws to a close, the following are some recent stories that have caught my attention, relating to several renewable fuel policy issues that I’ve followed from time to time in this blog. This entry will focus on issues relating to Low Carbon Fuel Standards in individual U.S. states and the Canadian province of British Columbia. Updates on California LCFS regulations. The staff of the California Air Resources Board (ARB, or CARB) has been working since early in 2014 on a series of potential amendments to the state’s Low Carbon Fuel Standard. This is being undertaken partially to address a court ruling directing ARB to take steps to cure some administrative deficiencies that the court found in the regulations. According to an ARB staff document, ARB staff is proposing that the Board re-adopt the LCFS regulation along with a proposed “suite of amendments [intended] to provide a stronger signal for investments in and production of the cleanest fuels, offer additional flexibility, update critical technical information, and provide for improved efficiency and enforcement of the regulation”. Among these proposed new regulations is a revised procedure for ARB review of applications to certify new fuel pathways under the LCFS. I have previously reported on the staff’s original (April 2014) proposal in a post earlier this year: aimed at reducing the substantial backlog of Method 2A and 2B applications, the April proposal would have classified first-generation biofuels (e.g. corn ethanol, renewable biodiesel) as Tier 1 fuels and advanced biofuels as Tier 2 fuels, and further would have created “bins” for the Tier 1 fuels– for example, assigning all Tier 1 fuels with carbon intensities of 80-90 in one bin with an assigned credit at the midpoint of 85. However, this proposal attracted some controversy because it might have accomplished a reduction in the number of petitions at the cost of losing the incremental advantage afforded to fuel developers by small improvements in carbon intensity. ARB staff went back to the drawing board, and unveiled a revised proposal at a May 30 public meeting. In the May proposal, the staff was still proposing to distinguish between Tier 1 (1st Gen) fuels and Tier 2 (2nd Gen) fuels, but the “bin” concept for Tier 1 fuels was no longer being considered. Instead, all new Tier 1 fuels would use a proposed new “Tier 1 Calculator” spreadsheet under the CA-GREET 2.0 model to establish a carbon intensity value, with no need for filing a formal petition. Second generation (Tier 2) fuels would follow much the same procedures for submission of Method 2A or 2B applications as is currently the case. The proposal would also streamline the process by consolidating pathway application with the procedures needed for registration of fuel producers. I discussed this May 2014 proposal in a little more detail in my talk at the 2014 BIO Pacific Rim Summit on Industrial Biotechnology: you can find the slides from that presentation here. At this writing, this remains only a proposal, which presumably would be adopted only as part of the larger regulatory overhaul that staff has been orchestrating. Those regulatory revisions were intended to be completed during 2014, which does not appear likely at this time, so the possible timing of the implementation of new procedures for fuel pathway approvals is not clear. More details on the various components proposed for the regulatory re-adoption can be found on the ARB website. Washington State Clean Fuel Standard. On December 17, 2014, Governor Jay Inslee of Washington announced a number of legislative and regulatory proposals designed to “transition Washington to increased energy independence through use of clean energy, to reduce carbon pollution in Washington and to meet the statutory greenhouse gas limits adopted by the state Legislature in 2008”. Most prominent among these is a proposed cap-and-trade program to limit carbon emissions. Also among the proposals, Gov. Inslee has directed the state’s Department of Ecology to draft proposed regulations for a Clean Fuel Standard that would require a transition to cleaner fuels over time. Input will be sought from legislators, affected and interested parties and the public before formal rulemaking begins. The proposal for a Clean Fuel Standard follows on a revised analysis of the impact of a potential Clean Fuel Standard, prepared for the state by Life Cycle Associates LLC, Jack Faucett Associates and the Center for Climate Strategies, which was issued on December 12. This report analyzes several scenarios to achieve a 10% reduction in transportation fuel carbon intensity by 2026 relative to 2012 levels. Oregon Clean Fuel Standard. Environmentalists are hopeful that, with Democratic gains in the State Senate, a favorable vote can be achieved to keep the Oregon Clean Fuel Standard in operation. As previously reported in Biofuel Policy Watch, the state has had such a program on the books since 2009, but it has not been fully implemented and is scheduled to “sunset” in December 2015. A bill in the Senate that would have extended the program failed to pass in 2014, but according to a recent press report, Senate Democrats plan to reintroduce such a bill when the new legislature convenes in January. According to this report, the state’s Department of Environmental Quality has proposed new rules for this program, which are expected to be approved by the Environmental Quality Commission on January 7-8, 2015. This proposal has continued to be controversial, in particular attracting opposition from oil industry groups and their allies. British Columbia Renewable and Low Carbon Fuel Regulations. I briefly described this program of the Canadian province of British Columbia in a February 6, 2013 posting on my Advanced Biotechnology blog. According to the website of the province’s Ministry of Energy and Mines, this regulation led to the use of renewable and low carbon fuel in 2012 that “saved 904,868 tonnes of greenhouse gas emissions from being released into the environment, the equivalent of about 190,499 cars being removed from the road”. According to a recent editorial in The Globe and Mail, current Energy Minister Bill Bennett is reviewing this low-carbon-fuel regulation, with his report expected soon. The editorial writer expressed concern that, since former B.C. Premier Gordon Campbell left the provincial government, there may be less enthusiasm within the present government for environmental causes. In the meantime, the Low Carbon Regulation continues to be in effect, with the California company Trestle Energy being the latest firm to obtain a carbon intensity rating for its fuel under the British Columbia regulations. The company’s fuel is reported to be a a corn ethanol product with a very favorable carbon intensity compared to other corn-derived ethanols. On May 2, 2014, I presented a talk at the Energy Bioscience Institute (EBI) 6th Annual Biofuels Law and Regulation Conference at the University of Illinois, summarizing a number of key legal, policy and regulatory issues affecting the development of the biofuels industry in the U.S. and internationally. The slides from that presentation can be found here. In this series of posts in Biofuel Policy Watch, I’m elaborating on the issues I discussed in the presentation. These posts are not meant to provide comprehensive summaries of the issues at hand, but instead to highlight some key aspects of my presentation and other discussions at the EBI conference. For most of these policy issues, you can find background information in other posts on this blog and my Advanced Biotechnology for Biofuels blog, and I’ll provide links such previous posts where possible. The previous entry discussed the U.S. Renewable Fuel Standard, administered by the Environmental Protection Agency, that provides an escalating series of mandated volumes of renewable fuels that must be sold in the U.S through 2022, and specifies the criteria under which fuels can be certified as renewable. The RFS has been a powerful incentive for the biofuels industry since the law’s inception in 2005, but its impact has been supplemented by a similar, but differently-structured program in place in California, the state with the largest single economy in the U.S. This is the Low Carbon Fuel Standard (LCFS), put in place as a result of Assembly Bill AB 32, a broad-based climate change bill enacted by the California legislature in 2006. I have described this program in detail in a post last year in Advanced Biotechnology for Biofuels, but the following is a summary of some key points. Implemented by an Executive Order pursuant to AB 32, the LCFS, issued on January 18, 2007, requires producers of petroleum-based fuels to reduce the carbon intensity of their products by 10% by 2020, beginning with 0.25% in 2011. The parties obligated by this requirement, such as petroleum importers, refiners and wholesalers, can meet these obligations either by developing their own low carbon fuels, incorporating other companies’ fuels in their products, or by buying LCFS Credits from other companies. The LCFS is administered by the California Air Resources Board (CARB). The key to the LCFS is that renewable fuels qualifying under the program are assigned values corresponding to their carbon intensity. “Carbon intensity” is defined as the net mass of carbon dioxide gas (or its equivalent) that is released over the life cycle of the fuel, taking into account the energy and materials needed to produce the fuel, usually measured against a baseline, i.e. the carbon intensity of the fuel it is meant to replace. When the regulations were established, the carbon intensities of certain renewable fuels were determined by CARB staff and entered into a look-up table. For those fuels not covered by an entry on the look-up table, the developing company needs to submit a petition to CARB calculating the carbon intensity through a life cycle analysis, and upon approval of the petition, the fuel and its carbon intensity are entered into the look-up table. The carbon intensity of the fuel determines the economic value of the credits each fuel is entitled to under the program. The LCFS and programs like it differ from the RFS, because under the RFS, each fuel is assigned to one of four categories defined by minimum carbon intensity (or GHG emission reductions) and there is no added value to the company if the carbon intensity of that fuel is later improved – all fuels above that minimum are lumped together. Under LCFS schemes, the economic value of the fuel (i.e. the credit to which it is entitled) is determined by the carbon intensity, so fuels with incrementally better GHG emission reductions have a greater economic value. The following are some of the issues relating to low carbon fuel standards that I discussed during my presentation as being important for the growth of the biofuels industry. Ensure continued enforcement of California LCFS and overcome pending court challenges. To date, the California LCFS seems to be working well in encouraging the use of renewable fuels in the state. The statistics that CARB reports each quarter show that the number of LCFS credits generated has been growing substantially, and a market for the trading of credits has emerged over the past two years or so. However, the program continues to face challenges. As I’ve reported in previous posts on this blog, the State of California has been fighting two court challenges. One suit is in federal court, alleging that the program violates the Interstate Commerce clause of the U.S. Constitution because, in taking the costs and emissions of transporting the fuel into account, it places fuels produced out of state at a disadvantage to fuels produced in-state. The other suit is in state court, alleging that CARB made various administrative errors in promulgating the rule. Although CARB has had some setbacks in both cases, the courts have allowed the agency to continue administering the program while the suits progress, and at this writing the overall program seems not to be threatened by either lawsuit. However, two industry groups and twenty-one states have recently filed petitions with the U.S. Supreme Court, asking the Court to review the Court of Appeals ruling that was favorable to CARB in the federal suit, so the possible impact of continuing or new litigation cannot be discounted. I should note that there are differing opinions on the California LCFS within the biofuels industry: several Midwestern corn ethanol producers are among the groups that have challenged the LCFS in federal court, due to the way out-of-state fuels are treated under the rules. Adopt sensible revisions to the LCFS petition process. CARB is also currently considering several revisions to its regulations, one of which affects its petition process for new fuel pathways. Like the RFS, the LCFS includes the requirement for developers of new fuels not covered by existing pathways to submit petitions for approval of and assignment of a carbon intensity to their pathway. Similarly to EPA, CARB has seen a far greater number of petitions than they had expected, even from applicants producing first-generation biofuels extremely similar to fuels already approved. I believe this is, in part, an outgrowth the structure of the LCFS – because developers are entitled to credits that correspond to their carbon intensities, this creates an incentive for companies to file new petitions rather than to rely on the “look-up” value of the similar fuel, hoping to qualify for a credit that is a few points better than that shown on the look-up table. CARB’s proposal, which is now out for public comment, would attempt to solve this problem by assigning first-generation biofuels (e.g. corn ethanol, renewable biodiesel) into tiers – for example, assigning all fuels with carbon intensities of 80-90 in one tier with an assigned credit at the midpoint of 85. Many have voiced their opposition to this scheme, since it may accomplish a reduction in the number of petitions at the cost of losing the incremental advantage afforded by small improvements in carbon intensity. The timetable for adopting any such change is not clear, but it points out the challenges facing the state in administering a popular program at a time when more and more companies are developing or producing biofuels. These challenges may well affect decisions by other U.S. states or Canadian provinces to adopt similar LCFS regulations. Extend LCFS regulations beyond California. Although California is the only U.S. state that is currently implementing and enforcing low carbon fuel standard regulations, similar laws have been adopted or have been considered in other states (an LCFS is in place in the Canadian province of British Columbia, which I won’t discuss here). I’ve discussed these other programs in detail in a post last year in Advanced Biotechnology for Biofuels. During my presentation, I briefly discussed the current status of these programs, as follows. In Oregon, an LCFS has been enacted, and the state has begun implementation of the first phase of the program, which entails mandatory reporting by fuel providers of the renewable content of the fuels they sell. However, progress towards fuller implementation of the law faces two obstacles. The first is that the legislature has not yet authorized the executive branch to move beyond the first phasewhich would be to require fuel producers and importers to achieve a 10% reduction in carbon intensity by 2025; and the second is that the law itself is scheduled to expire (via a “sunset” provision) in December 2015. In recent weeks, Governor Kitzhaber has attempted to overcome the first obstacle by issuing an executive order authorizing the next phase of the program to begin, but as of yet he has been unable to have the state legislature agree to remove the 2015 sunset provision. Full implementation of the Oregon LCFS is dependent upon success on both fronts. Washington State has, from time to time in recent years, considered the adoption of an LCFS, most recently in 2011 when a Department of Ecology report recommended adoption of a program with the goal of reducing transportation fuel carbon intensity 10% from 2007 levels by 2023. However, the state took no action on this recommendation until just recently – in April 2014, Governor Inslee issued an executive order for a feasibility study of a low carbon fuel standard as part of a larger program for reducing carbon emissions. The interest in LCFS regulations by the three U.S. West Coast states, along with British Columbia, opens the possibility of there someday being a broad-based regional alliance having similar goals of reducing carbon emissions from transportation fuels through a low-carbon fuel standard. In fact, during my talk, I suggested that broader adoption of state or regional LCFS rules could be one way to overcome some of the shortcomings of the federal RFS without the need for Congressional action. Adoption of low carbon fuel standards in states representing a significant portion of the national economy could create a de facto national LCFS by providing the incentive to sell advanced renewable fuels nationwide. California itself represents about 12-13% of the nation’s economy and about 10% of gasoline consumption, and adding Oregon and Washington would bring the total closer to 20% of the economy and 13% of gas consumption, which would be a good start, if other states or regions could follow suit. D. Glass Associates, Inc. is a consulting company specializing in government and regulatory support for renewable fuels and industrial biotechnology. David Glass, Ph.D. is a veteran of over thirty years in the biotechnology industry, with expertise in industrial biotechnology regulatory affairs, U.S. and international renewable fuels regulation, patents, technology licensing, and market and technology assessments. More information on D. Glass Associates’ government and regulatory consulting capabilities, and copies of some of Dr. Glass’s prior presentations on biofuels and biotechnology regulation, are available at www.slideshare.net/djglass99 and at www.dglassassociates.com. The views expressed in this blog are those of Dr. Glass and D. Glass Associates and do not represent the views of any other organization with which Dr. Glass is affiliated. Please visit our other blog, Advanced Biotechnology for Biofuels. In each post, I’ll briefly summarize the issues I’ve presented in the talk, and to the extent possible I’ll also report on any relevant discussion on these topics that arose during the conference. I’ll be happy to answer any questions anyone may have on this presentation, these topics, and the forthcoming blog entries. D. Glass Associates, Inc. is a consulting company specializing in government and regulatory support for renewable fuels and industrial biotechnology. David Glass, Ph.D. is a veteran of over thirty years in the biotechnology industry, with expertise in industrial biotechnology regulatory affairs, U.S. and international renewable fuels regulation, patents, technology licensing, and market and technology assessments. More information on D. Glass Associates’ government and regulatory consulting capabilities, and copies of some of Dr. Glass’s prior presentations on biofuels and biotechnology regulation, are available atwww.slideshare.net/djglass99 and at www.dglassassociates.com. The views expressed in this blog are those of Dr. Glass and D. Glass Associates and do not represent the views of any other organization with which Dr. Glass is affiliated. Please visit our other blog, Advanced Biotechnology for Biofuels. Here’s an update on recent news items and other public policy developments relating to biofuel policies at the federal and state levels in the U.S.
Farm Bill Passage. As has widely been reported in the trade press and lay press, in late January Congress passed, and President Obama signed, a new Farm Bill to replace the Farm Bill of 2007 that had expired at the end of 2012. The bill restored mandatory funding for the Energy Titles of the bill, an also extended eligibility of these programs to processes for production of renewable chemicals. The bill, which was widely heralded as a rare example of bipartisanship in the U.S. Congress, is also viewed as a victory for the biofuels and industrial biotechnology industry. Biodiesel tax incentive extension. On February 12, 2014, Sens. Maria Cantwell, D-Wash., and Charles Grassley, R-Iowa, introduced a bill to extend the expired biodiesel tax incentive for three years. This incentive would apply to biodiesel, renewable diesel and renewable aviation fuel. The bill, S. 2021, would extend the tax incentive until 2017. However, the tax code overhaul bill more recently introduced by Rep. Dave Camp, R-Mich., would repeal and not reinstate any of the expired biofuel incentives or credits. Prospects for passage of the Camp overhaul bill in the current Congressional session are generally considered to be dim. 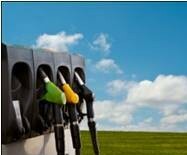 Bill filed to assist fuel retailers invest in alternative fuels. Representative Dave Loebsack (D-Iowa) has introduced the Renewable Fuel Utilization, Expansion and Leadership, also known as the Re-FUEL-Act. This bill, H.R. 4051, would create a competitive grant program to provide funds for fuel retailers to use to make investments in renewable and alternative fuel and energy sources. It is meant to address the need for infrastructure changes at the retail level to allow improved consumer access to renewable fuels such as biodiesel and higher ethanol blends. New Hampshire legislation introduced. A bill has been introduced in the New Hampshire State Legislature, HB 1220, that would prohibit the blending of more than 10% corn-based ethanol in gasoline in the state. A hearing on the bill was held by the House Science, Technology and Energy Committee on February 11, 2014, at which several proponents of ethanol, including the Biotechnology Industry Organization and the Advanced Ethanol Coalition, testified against the bill. Missouri ethanol blending policy. In Missouri, on February 6, 2014, a State Senate committee debated whether to block a proposal that would allow ethanol/gasoline blends of up to 15% (E15) be sold in the state. The state’s Agriculture Department issued a rule in 2013 that would have allowed the sale of E15, but that rule was blocked by a legislative committee, due to concerns touted by business groups, car manufacturers and the petroleum industry that E15 blends might damage engines. Permanently blocking the rule would require approval by early March 2014 of both branches of the Missouri legislature and the signature of the governor, who is on record as supportive of E15. California Low Carbon Fuel Standard. In February 2014, The California Air Resources Board (CARB) issued an update to its scoping plan which indicated that it intends to extend the requirements of the California Low Carbon Fuel Standard through 2030. CARB did not provide further details of its plans, except to say that it plans during 2014 to propose “more aggressive targets for 2030”. Oregon Low Carbon Fuel Standard. On February 13, 2014, Oregon’s governor John Kitzhaber announced his intention to use executive authority to extend Oregon’s Clean Fuels Program beyond its scheduled December 2015 expiration. Legislative efforts to extend the program past this “sunset” date failed last year and have not sufficiently progressed so far this year, and so Gov. Kitzhaber said he would direct the Department of Environmental Quality to move to the second phase of the program, under which fuel distributors would be required to meet targets for low-emission motor vehicles fuels. Here’s a quick wrap-up of some recent developments relating to biofuel policies in the U.S., particularly relating to the U.S. Renewable Fuel Standard (RFS) and the California Low Carbon Fuel Standard (LCFS). 2014 RFS volume mandates. The end of the public comment period is approaching on the US EPA’s proposed rule for the 2014 volume mandates (renewable volume obligations, or RVOs) under the RFS. As I reported in my 2013 year-end summary, this proposal represented the first time that EPA was proposing to reduce not only the targets for cellulosic fuels, but also the mandated volumes both for advanced biofuels (a category which includes cellulosic fuels) and the overall target for all renewable fuels. The biofuel industry and its proponents have been up in arms about this proposal, conducting an intense war of words in the media, the Twittersphere, and elsewhere, with numerous companies, trade groups, elected officials and others publicly voicing their opinions opposing these reductions in the RVOs. The public comment period closes on January 28, 2014, and it is not known how quickly EPA will respond and set the final 2014 volume mandates. My prediction is that EPA will respond to the public comments by raising the volumes from the levels in the proposed rule, but not restore them to the levels originally set in the RFS legislation. Challenges to the RFS. In October 2013, the American Petroleum Institute (API) and the American Fuel & Petrochemical Manufacturers (AFPM) filed petitions with the EPA challenging the 2013 cellulosic biofuel volume mandates, in view of an August 2013 announcement from KiOR that the company was lowering its projections for the amount of cellulosic biofuels it would be able to produce that year. On January 23, 2014, EPA announced, in letters to API and AFPM posted on its website, that it was partially granting these petitions for reconsideration of the 2013 cellulosic RVOs, based on the “new information” from KiOR, and that EPA expected to propose such revised volume mandates in upcoming rulemaking. I haven’t yet seen any industry reaction to this announcement, but I’m sure that responses from the biofuel industry will be swift and harsh, especially coming so closely on the heels of EPA’s proposed reduction in the 2014 RVOs. Note that the October 2013 petitions are different from the petitions filed by API and AFPM in August 2013 asking for a partial waiver of the 2014 RVOs, and are also in addition to a lawsuit these groups and others had filed in the U.S. Court of Appeals challenging the 2013 volume mandates. California Low Carbon Fuel Standard. The full 9th Circuit U.S. Court of Appeals issued a decision on January 22, 2014 that it would not, after all, rehear a case previously decided in favor of the California Air Resources Board (CARB), when a 3-judge panel of the Court ruled by a 2-1 vote that the LCFS did not unconstitutionally discriminate against out-of-state fuel producers. That panel decision reversed a lower court decision that went against CARB. The decision not to rehear the case leaves the decision by the 3-judge panel in place and would allow CARB to continue to administer the LCFS program. However, seven justices on the Court signed on to a dissent that is widely believed could signal the path for the industry groups who are the plaintiffs to appeal the case to the U.S. Supreme Court. The crux of the dispute is whether the requirement that the energy costs of transporting fuel into California from other states be considered in determining the carbon intensity of fuels under the LCFS discriminates against out-of-state fuels in violation of the Constitution’s provisions that prohibit states from interfering with interstate commerce.